Welcome to the Northeast Elementary Virtual Backpack! Web ready items (text files, PDFs etc.) received by Thursday afternoons can be placed on the Virtual Backpack page by the weekend. 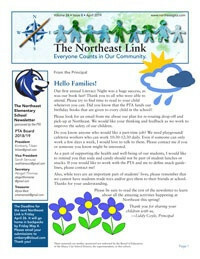 Stay Informed by Joining the Northeast PTA Listserv! ​yahoogroups.com, and type "Please add me to the PTA listserv." in the subject line, mention your child's name and grade in the body, and the administrator will add your email address to our list. 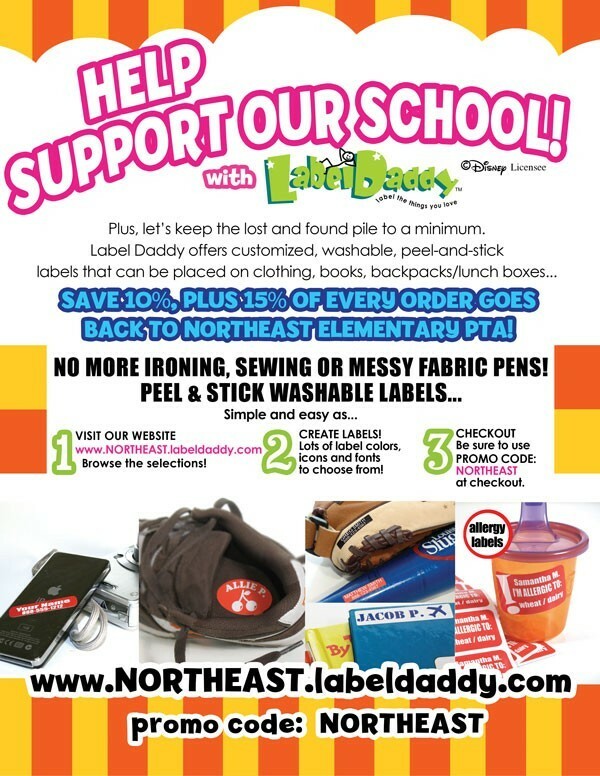 Northeast PTA has teamed up with LabelDaddy. ​All school lunches in the district will increase by 5 cents. Despite these changes, breakfast prices in the ICSD will remain at the same rate as last year and the price of reduced meals will remain at 25 cents. The new meal prices are below. ​If you need assistance, you can down load a Free and Reduced Lunch Application here.